Studies show that students living on campus are more likely to be successful in the classroom and graduate on time. 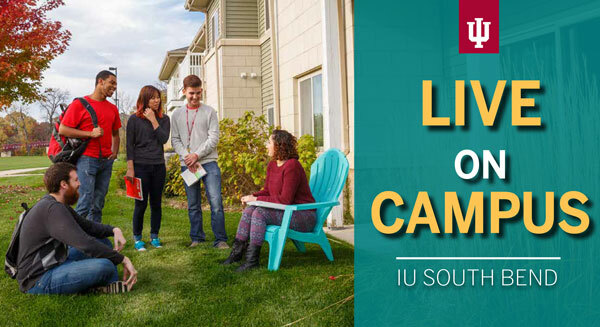 The Housing and Residence Life (HRL) program at IU South Bend is designed to help you transition to college life. Get the support you need, make new friends, get involved in campus life, live independently, and enjoy the full collegiate experience. IU South Bend is a warm and welcoming university where students feel safe and professors know your name. Find your college home at River Crossing student housing. Visit housing.iusb.edu for more information.